Up to now I’ve used my rattle and drum music by Sandra Ingerman to ease the passage of my shamanic journeys, but I am beginning to experiment with incenses and ointments to enhance the experience and add to the ritual quality of the work. My first incense blend is rich-smelling but gentle, using the herbs more as a vessel to carry my intent. My new blend is a gift from my wife, who surprised me with sachets of wormwood and mugwort from the local metaphysical store. These herbs I consider more powerful in themselves (and potentially dangerous), so please do your research if you wish to use them. In addition to burning them as incense, I have mixed them with an ointment base and cedarwood oil. 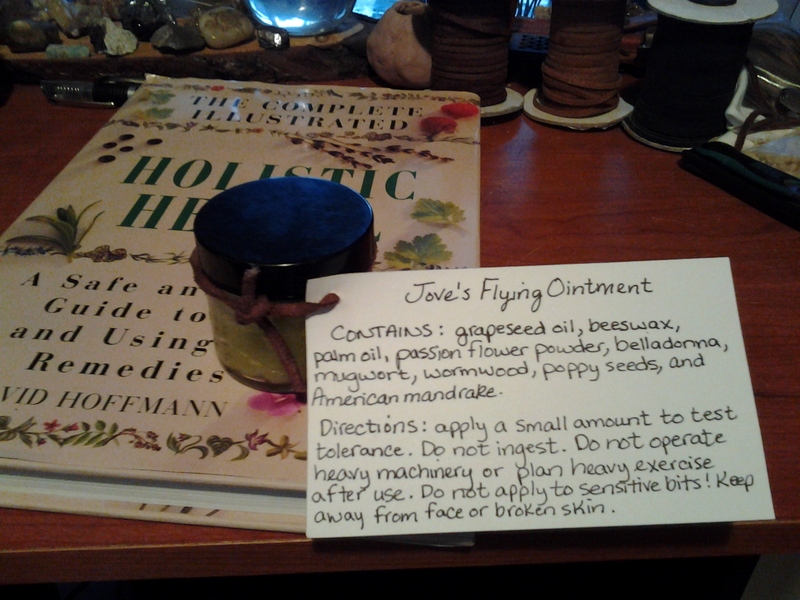 This is not a refined way to make a flying ointment! 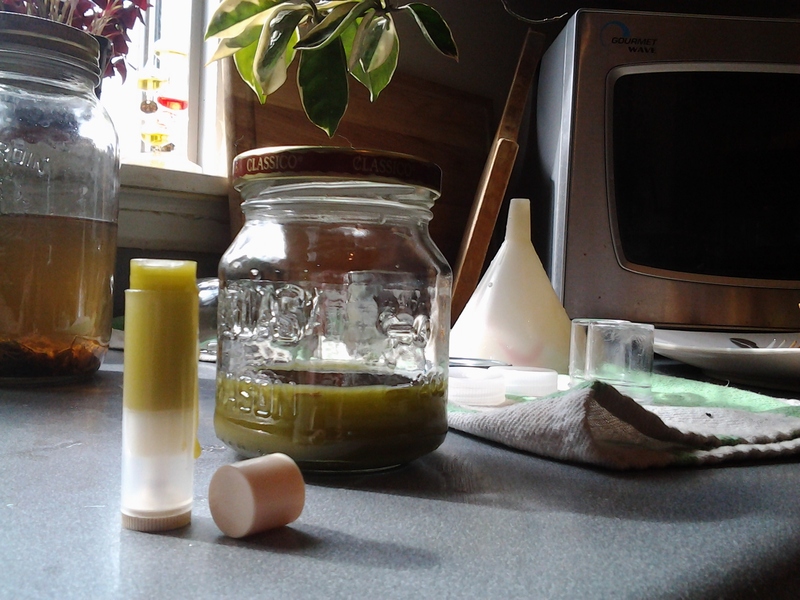 It’s messy, but I like the rustic quality of whole herbs in the ointment rather than an herbal infusion. It may, however, prove to be a disaster. Giving due respect to the herbs, I will pick an evening to journey with them when I can devote my full attention and intention to creating sacred space and enacting ritual. I think it’s important to look forward to it as a deepening of my practice, not an attempt to fly around the room.